Indian business magnate Mukesh Ambani is once again in headlines after defeating Hong Kong business tycoon Li Ka-shing to become Asia’s second richest man. The net worth of chairman of Reliance industries stood at USD 34.8 billion (around Rs. 2.2 lakh crore), pushing him to number 19 on the Bloomberg Billionaires Index from 29 at the end of 2016. This year, Mukesh's RIL added USD 12.1 billion (around Rs. 77,000 crore) to his wealth, according to the Bloomberg Billionaires Index. The feat has been achieved amid RIL shares soaring post the company’s Q1 net profits recorded a 28 per cent rise in 2017. 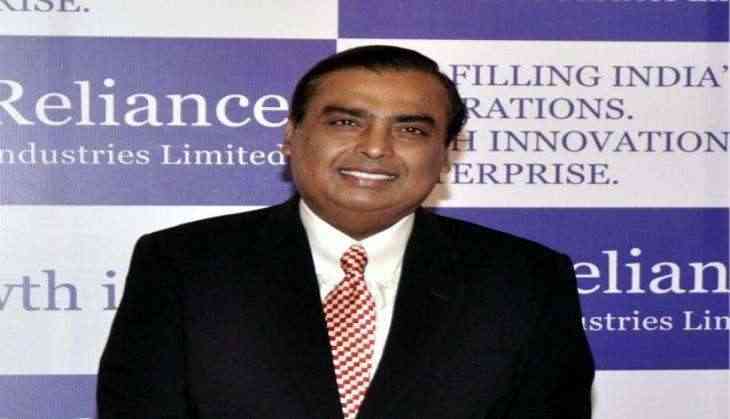 In recently held AGM meeting on completing 40 years of Reliance group, Mukesh referred its wholly owned subsidiary of Reliance Industries, Jio as “a jewel" and said, “Jio will become India's largest provider of data service, products and application platforms”.